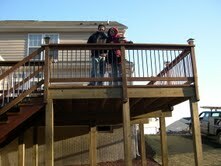 We build decks and stairs out of pressure treated lumber at any height off the ground. They can be custom dimensions of any length or width. 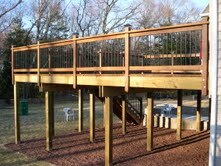 We use pressure treated decking, cedar decking, or composite decking with railings to match. 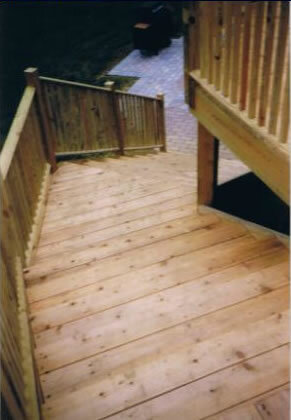 We also powerwash and stain them to any color of your choice. 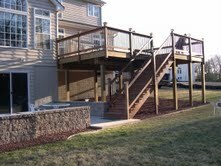 O’Hara Construction also builds patios and walkways out of paverstones. 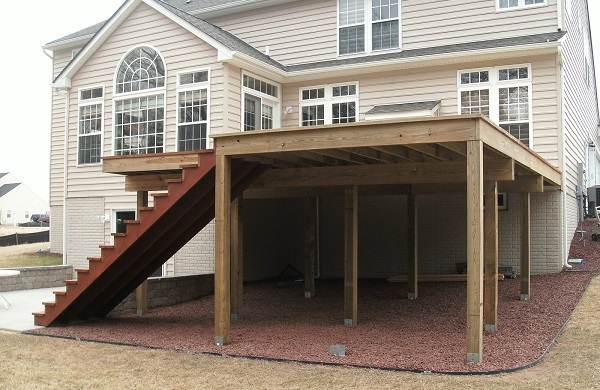 We build screened in porches and gazebos. No job is too big or small. Any and all repairs wanted. Project costs are usually 50/50 on large jobs and a hourly rate on smaller jobs such as repairs, etc.